Despite seeing a lot of dominant teams, it’s rare to see top seeds facing off in NFL conference title games. On Sunday afternoon, the fans were blessed with a good matchup between the NFC’s top teams. The Los Angeles Rams faced off against the New Orleans Saints. It was a close game and it got a little interesting at the end. 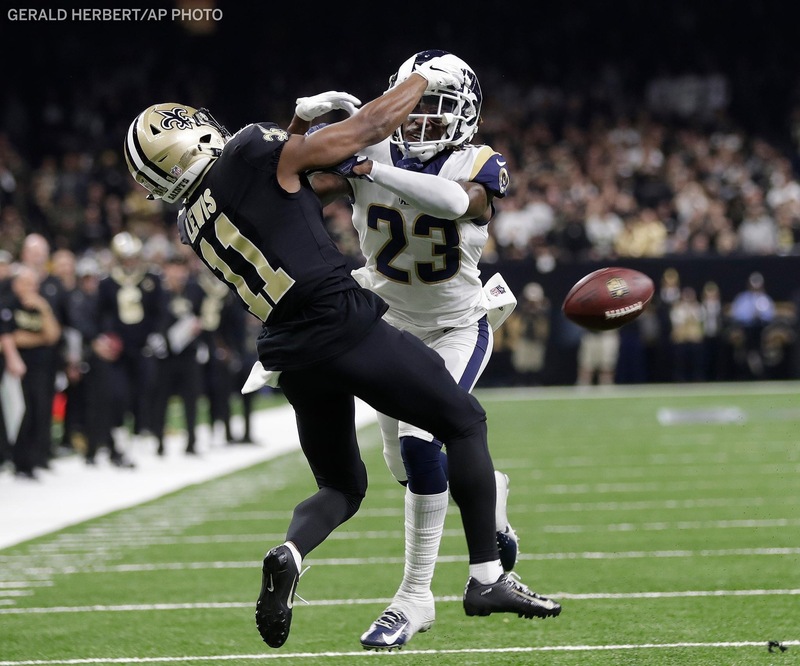 Despite the theatrics, the Rams won 26 to 23; advancing to the Super Bowl. LA won but it was really a steep climb early on. Will Lutz made two field goals for New Orleans in the 1st quarter. Towards the end of that same quarter, Drew Brees led a 68-yard drive that ended with a touchdown. What did the Rams do in the first quarter? Well, Jared Goff threw an interception and they punted on their next drive. The next quarter was huge as LA scored 10 points while holding New Orleans to none at all. Going back, if the Saints added more points in the second, the game could have been different. Backup QB Taysom Hill got the Saints on the board in the 3rd quarter. The Rams responded with a TD as well, another 75+ yard scoring drive. The fourth quarter saw things turn, and chaos ensued. Nickell Robey-Coleman got away with the most obvious pass interference call late in the 4th. New Orleans was forced to turn the ball over and the Rams scored a field goal in the final seconds to tie the game. And in overtime, the Rams got away after an interception by Drew Brees. Greg Zuerlein kicked a 57-yard field goal to win the game on the ensuing drive. The kick ended the perfect home playoff record for Drew Brees. The rushing attacks of both teams were shut down during the contest. Ingram and Kamara for New Orleans and Gurley and Anderson for LA did not make a giant impact. But Kamara was huge in the passing game. Jared Goff and Drew Brees had a nice battle. Goff had 297 yards passing while Brees had 249 yards. Drew threw for two touchdowns while Jared threw for one touchdown. But as we’ve seen on social media, the missed pass interference call did not get a good reaction. LA truly won this game but the mishap by the referees truly took away the moment away from both teams. The Rams will face the Patriots in Super Bowl 53. The Saints are headed home after another amazing season. And for Redskins fans, Sean McVay and Joe Berry used to coach for the Skins. This is just salt in the wounds.